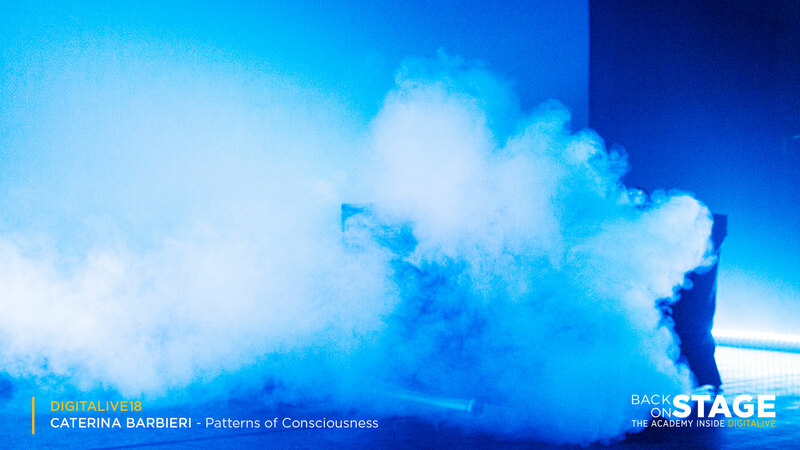 Exclusively for DIGITALIVE 18, Caterina Barbieri offered a re-imagining of her last album Patterns of Consciousness. 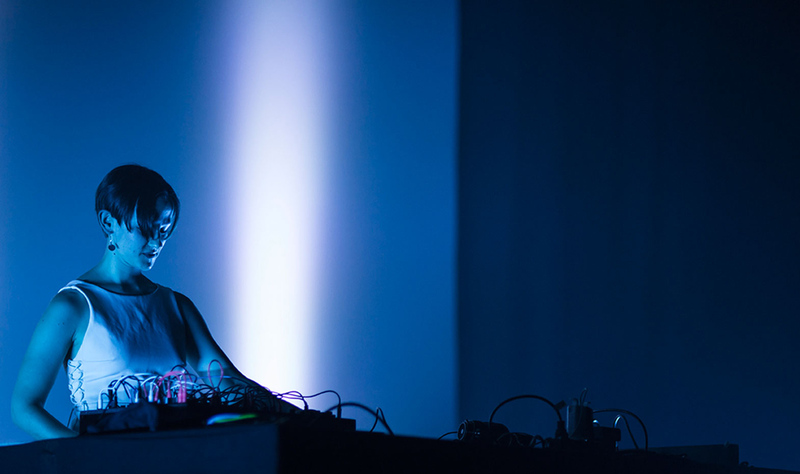 Class of 1990, Caterina Barbieri is an Italian composer currently living in Berlin and performer of electro-acoustic compositions mostly based on analog oscillators. 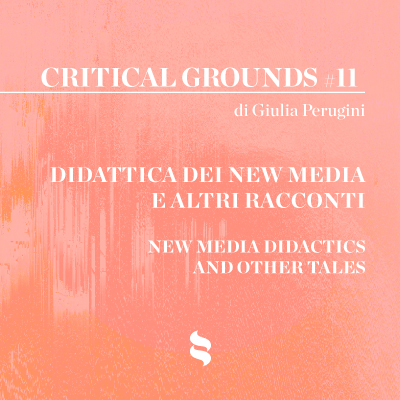 Caterina holds a diploma in classical guitar and electro-acoustic composition, alongside a BA degree from the Faculty of Humanities and Philosophy at Bologna with an Ethnomusicology thesis on Hindi music and minimalism. 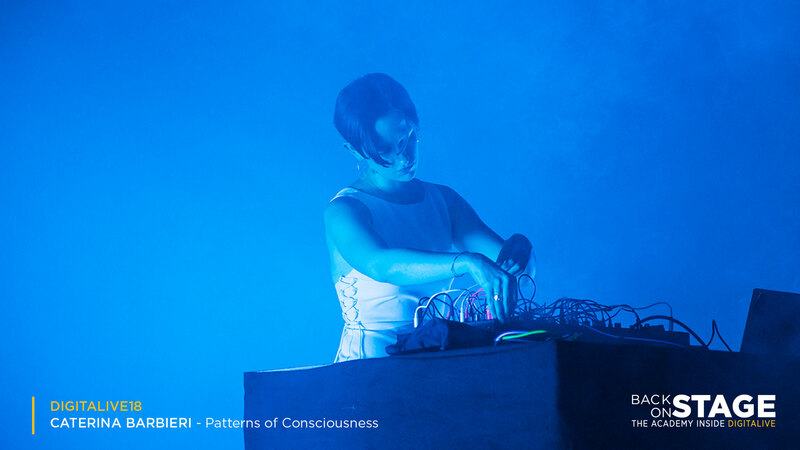 Her latest LP Patterns of Consciousness (Important Records) was critically acclaimed and nominated as Best Album of 2017 by Fact Mag, The Wire and Boomkat, among others. 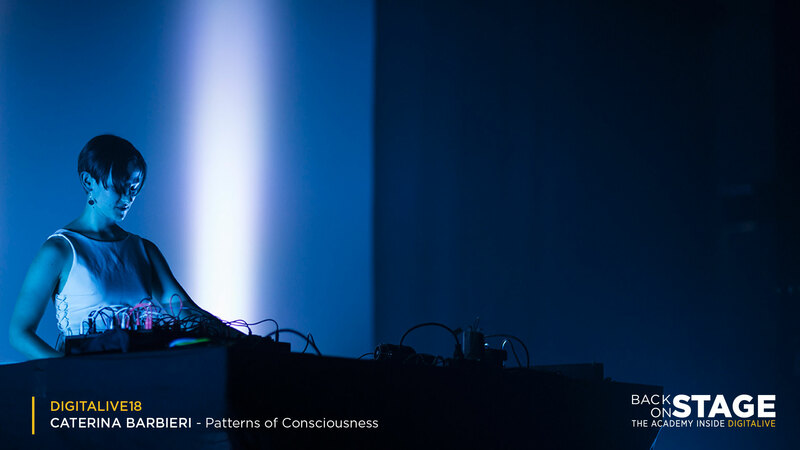 Using old and new synthesisers, Caterina Barbieri reworked her last album Patterns of Consciousness to include a DJ set which transported spectators to a world of intangible and harmonious geometric patterns for the whole of its whole duration. The artist, who works by deconstructing and reconstructing a variety of patterns using a minimalist approach, continues to interpret noise. Barbieri’s fusion of ambient and electronic music, with its hypnotic features, transported the public to another dimension characterised by complex simplicity, with a noticeable 1980s sound, developed in an entirely personal way. 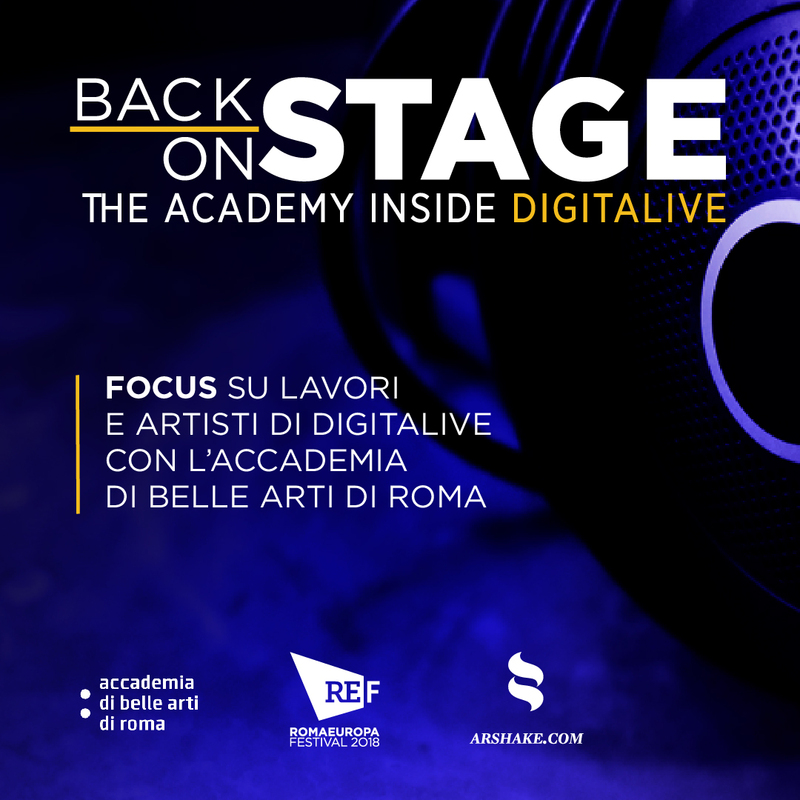 «Music» as Barbieri tells Fabrizio Garau in an interview from 2015 «is geometry, enabling the geometries of the cosmos to relive within us because, through sound and its architecture, we arrive at an understanding of the universal principles of vibration. Music connects what is visible with the invisible, man and cosmos, body and mind, in a spiral linking interior and exterior, micro and macro, revealing the infinite spiritual and physical potential that every individual carries within them.» (C. Barbieri, F. Garau, Interview and presentation of UHV,2015). 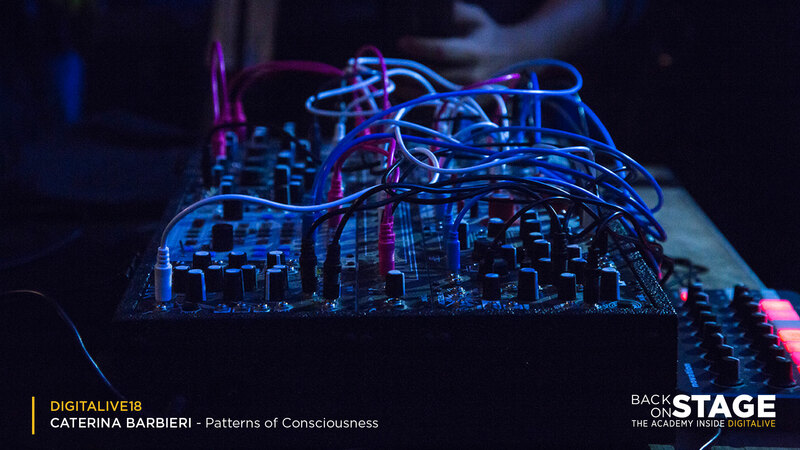 By exploring themes connected to artificial intelligence and perception, Barbieri’s work is focused on the psychophysical effects of repetition in music and the polyphonic and polyrhythmic potential of music sequencers. Caterina Barbieri performed at the Pelanda in Rome on 6 October. The glass and steel of the venue’s industrial heritage were in harmony with the musician’s essential techno style, stimulating the imagination of the numerous spectators who went along with the flow of primary notes arranged by the ‘Italian queen of synthesisers’.